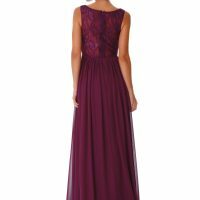 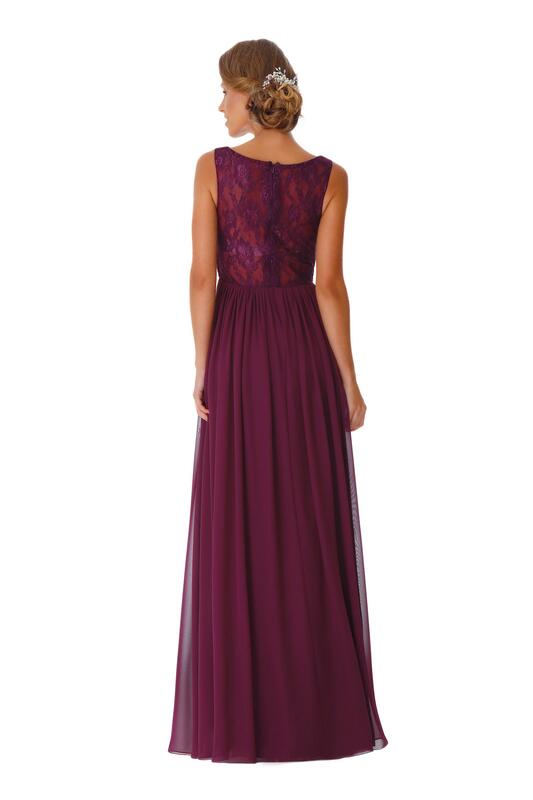 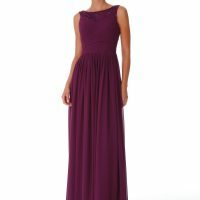 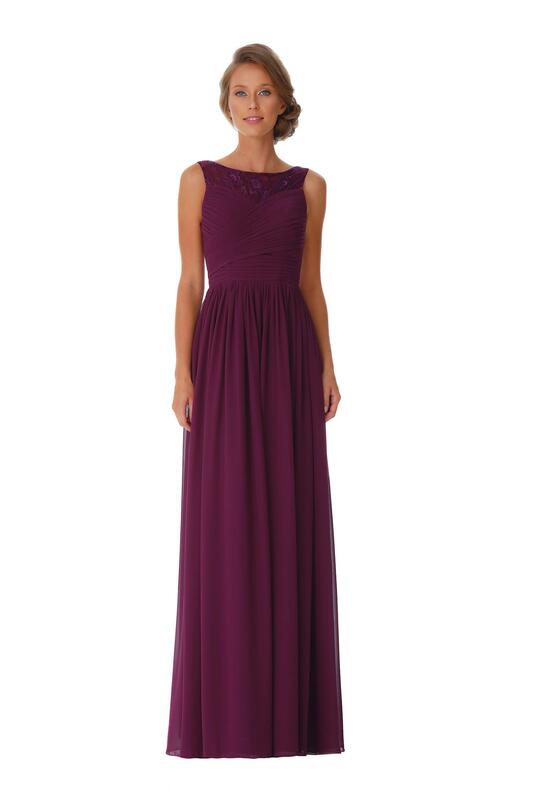 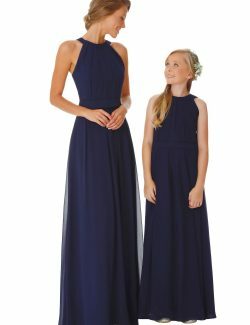 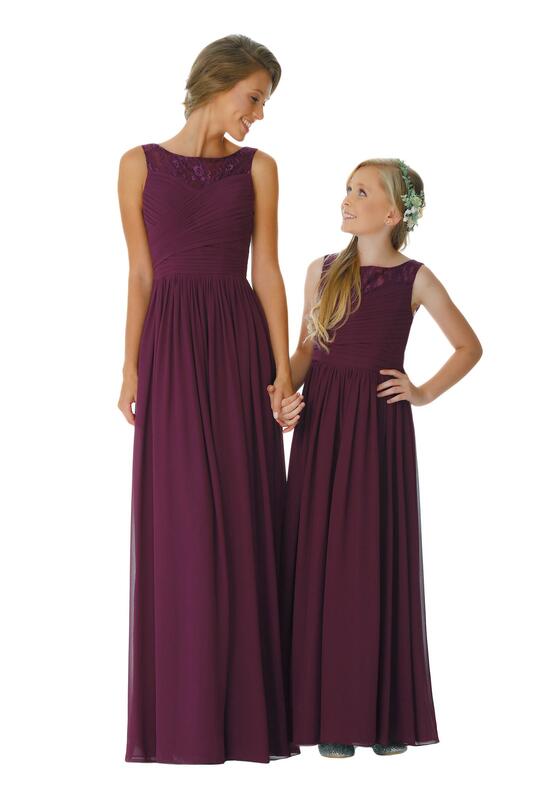 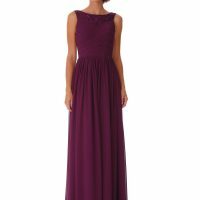 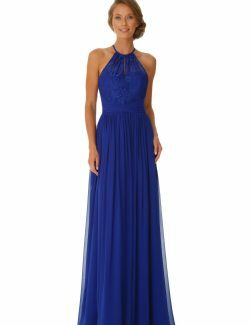 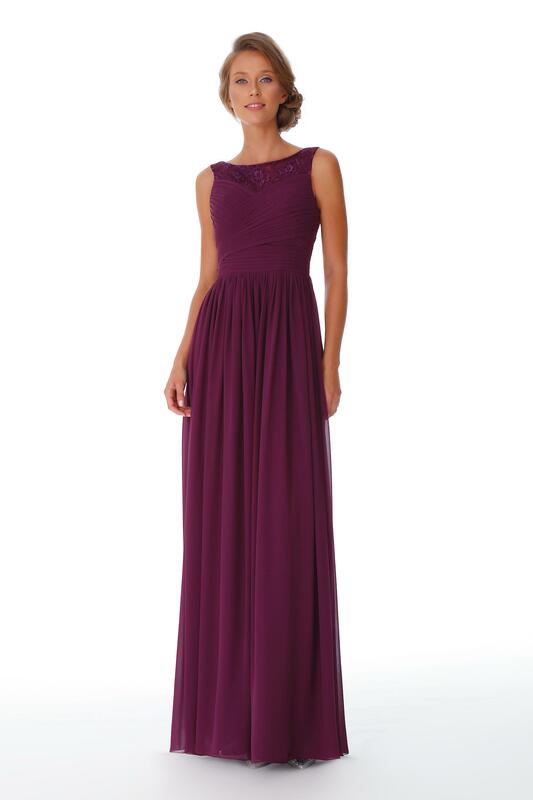 Alabama is a stunning floor length chiffon bridesmaid dress with pleated bodice and lace back detail. 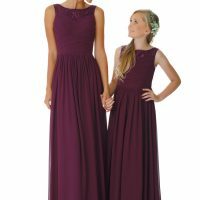 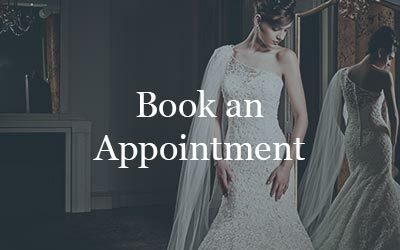 Also avaliable as junior bridesmaid or flowergirl. 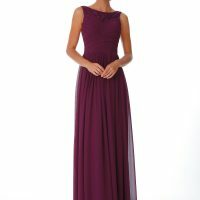 Over 100 colours avaliable!